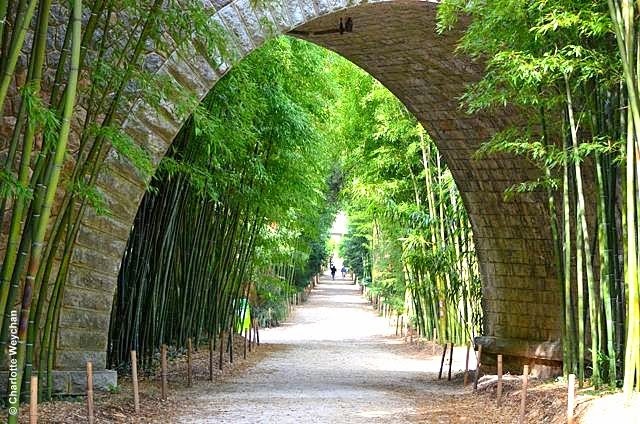 The story of La Bambouseraie - the oldest cultivated bamboo garden in Europe – located in southern France is fascinating. 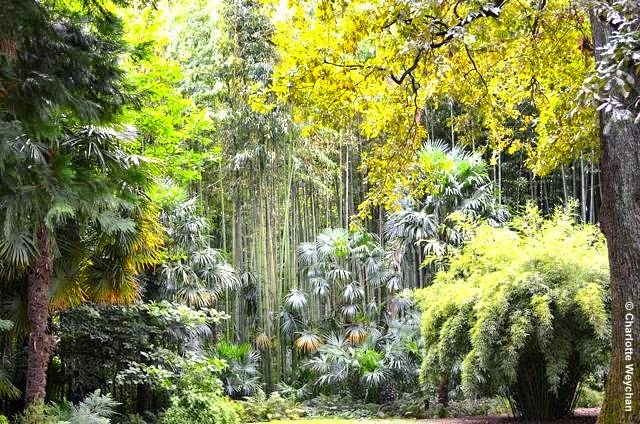 This plant haven houses in excess of 200 bamboo species, plus some 800 plants and trees, including champion specimens – quercus and magnolia and an astounding collection of oak trees - hidden in a valley near Anduze in the southern region. 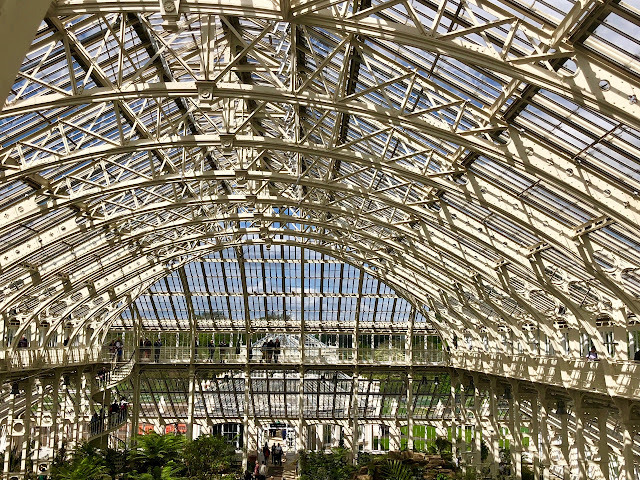 For plant and garden lovers, this is comparable to a day out at a major theme park for a child! 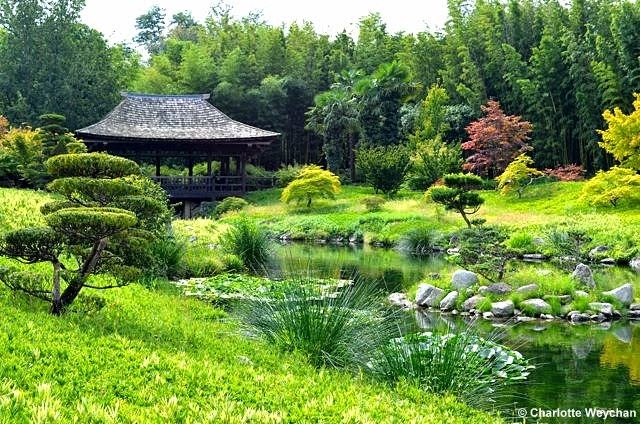 This extraordinary garden was created by Eugene Mazel over a 40-year period in the 19th century. He was born locally in 1828, but was orphaned as a young child and entrusted into his uncle’s care. As a teenager, he became fascinated by plants and, when he later inherited his uncle’s huge fortune, added to by his own earnings as a successful spice merchant, he created La Bambouseraie at Prafrance, where work began in 1855. 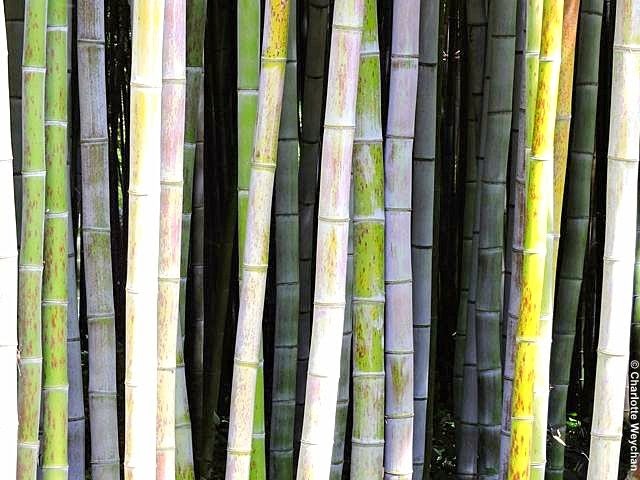 As his collection of bamboo and other rare species grew, he became one of the most respected botanists in Southern France. Sadly his life was to end in tragedy and in 1890 he became bankrupt and was forced to leave his lifetime’s work behind. He later died in Marseilles in abject poverty. But in 1902, another passionate plant lover purchased the estate – Gaston Negre – who, with the help of one of Mazel’s former gardeners, started restoring the recently-neglected property at Prafrance. In 1953 Negre opened the estate to the public for the first time and by 1958 visitor numbers had exceeded 20,000 annually. But tragedy was to strike again when the local river – the Gardon – flooded and caused considerable damage to the estate and the plants growing there. Two years later, Maurice Negre who had taken over the running of La Bambouseraie from his father, was killed in a car crash.Yet the family endured all these disasters and today the garden is run by Muriel Negre, daughter of Maurice. It is a major tourist attraction and people visit from all over the world. Diversity is certainly the key to its success because it offers a very different experience to the classical chateau gardens so often associated with France. At the heart of the garden there's a Laotian village (above), constructed by a committed staff member who worked on the estate, which faithfully replicates the layout of a Laos village, complete with endemic planting. 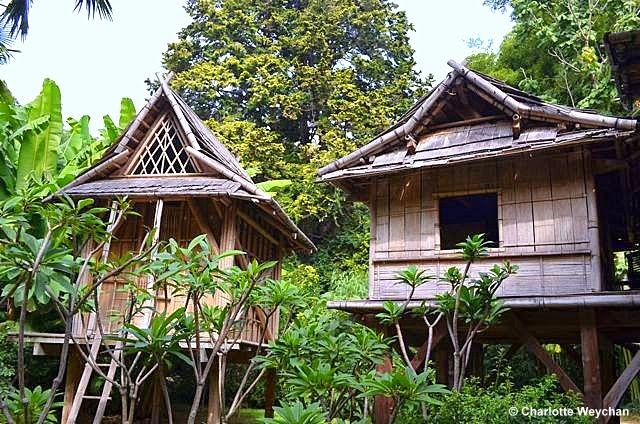 In South-East Asia, bamboo is a major feature of both the economy and the construction of local homes, and any visitor to La Bambouseraie could be forgiven for thinking they were far from home when walking through this bamboo village. 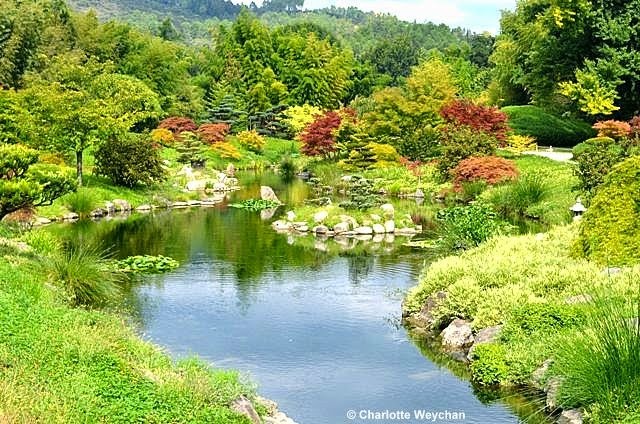 One of the more surprising features of this garden is the Dragon Valley (above), created for the new Millennium – a charming landscape at the heart of La Bambouseraie which comes into its own in autumn when the acers change colour. 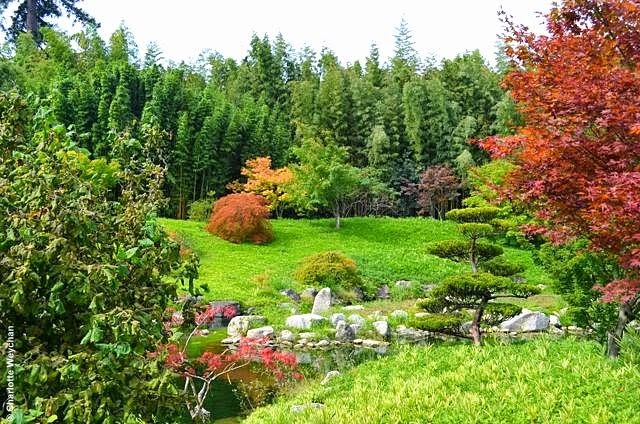 Conceived to mark the year of the dragon in Chinese cosmogony, this garden is filled with Japanese maples, a pavilion, and the red entrance archways associated with gardens in the Far East. 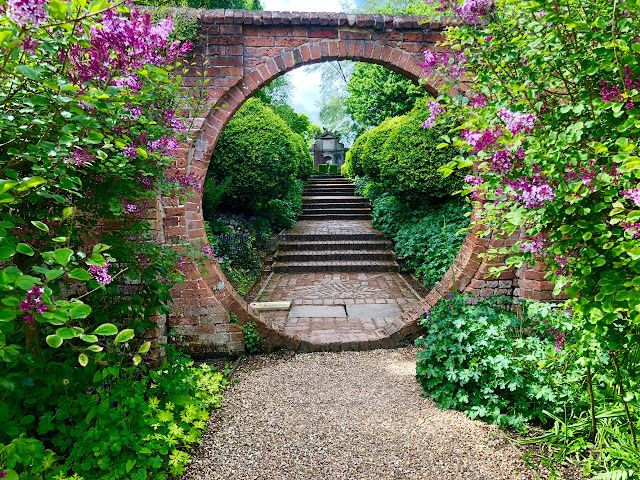 Most visitors will agree that the majesty of this garden is easy to see. It has a remarkable collection of plants; offers extraordinary visual appeal; and affords some amazing photographic opportunities. 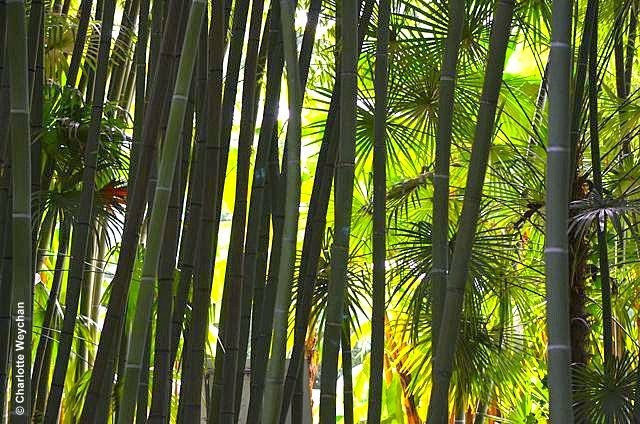 Remember to look up when you are here because the intermittent light shining through the dense bamboo forest plays wonderful tricks.This is a veritable plant theme park that has survived several tragedies and today carries the coveted French “Jardins Remarquables” label. La Bambouseraie is open from 1 March to 15 November. Check the website here for details and prices. Certainly one for the wishlist! What a beautiful garden. Thank you for sharing it. I love it when you show all these far away gardens. I take myself on a Google Earth 'holiday' to see more. Thank you for telling us about this garden. I had no idea that it existed. What a wonderful garden that has survived tragedies and is still flourishing. Charlotte I am finally catching up with your blog and what a wonderful post...so beautiful! I love the way they planted the bamboo like a forest and arbor. It is stunning! You captured it in all its glory. The Dragon Valley looks so colorful--are all the plants there native to the Far East? If I ever make it to Southern France, I'll make sure this garden is on my "must see" list. I once dragged my parents there on a holiday in southern France when I was a child. Nice to see it is still going strong! How great that this garden has been preserved throughout so much. What a horticultural gem! Definitely a garden one wouldn't expect to find in France! What a lark of a garden. Hope you did not have to gallop too fast through it!